The Unity desktop you know and (maybe) love Ubuntu 11.04 Unity - A Big Leap Forward For Linux Ubuntu 11.04 Unity - A Big Leap Forward For Linux It's here. The newest version of Ubuntu sports an entirely new user interface: Unity. It also includes a much-improved Software Center, alongside the usual updates for the thousands of free programs Ubuntu offers. Canonical decided... Read More has its days numbered. 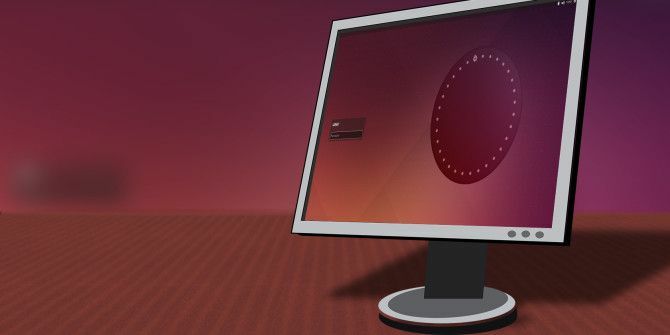 Canonical is at work on Unity 8, which looks more to revolutionize the desktop shell rather than just evolve it. 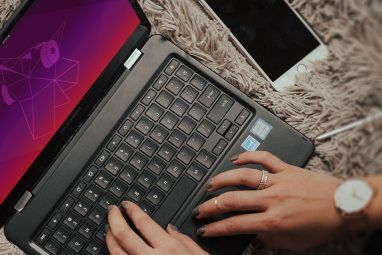 While it’s still quite a while away from being the default desktop on your next Ubuntu installation, curious folks can try it out right now if they’d like. Here’s how and what to expect so far with the new desktop. While I don’t think Canonical has anything against the current Unity desktop, it has much bigger plans in store. The company has been working hard to try to achieve its goal of total convergence — meaning that it wants to have the same interface and apps across all devices, including your computer, smartphone, and tablet. Microsoft has already tried this somewhat with Windows 8 and Windows Phone 8, and Apple is taking baby steps as well with the incremental changes in Mac OS X that make it more similar to iOS. 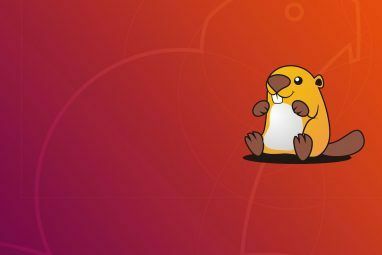 Canonical wants to be the first company to provide good convergence with Linux, and is betting big that people will like it and start using all of the Ubuntu operating systems they’ll have to offer. For the time being, Unity 8 looks very much like an enlarged version of Ubuntu Touch, and that’s kind of because it is. 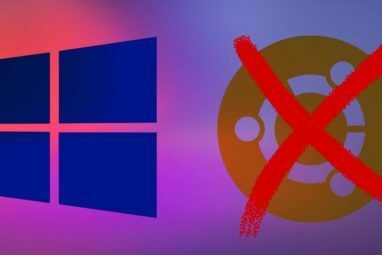 Canonical has yet to make any major tweaks to the desktop interface that makes it look and work better on a computer, but that’ll come somewhere down the road. For now, Canonical is more concerned about making sure that the entire stack works before it makes enhancements to each portion of the stack. The stack in question, by the way, are the Ubuntu exclusives that it needs to get the desktop to work — Unity 8 and the Mir display server (which is forked from Wayland, an upcoming display server How To Try Wayland, A New Display Server For Linux How To Try Wayland, A New Display Server For Linux Linux distributions will soon get a new display server called Wayland. Let's take a look at Wayland, and see how you can try it out right now. Read More that most other Linux distributions will eventually use). That being said, you’ll see lots of big buttons and other features that would really make you think that it’s meant for a touchscreen. Give it some time as things will change. Like I mentioned earlier, for those who are curious, you can try out the new desktop (including Mir) right now! There are actually two ways, so you’re more than welcome to choose whichever one you’d like. Once it completes, you can log out of your user account, then choose your user again and switch the session (click on the Ubuntu logo) to Unity8-Mir. Then log in as usual and you’ll be running the upcoming desktop. To switch back, just click on the logo again in the same place (although it won’t be an Ubuntu logo now) and choose Ubuntu to go back to normal. The benefits of choosing this method are that it is easier and quicker to do than the following method, and that you’ll always be up to date when you want to try the upcoming desktop again. The downside to this method is that you’ll have it installed on your computer, and some people aren’t too comfortable with installing experimental software on their computer, even if they don’t use it very often. The second method is to get an Ubuntu Desktop Next ISO image from this page. Once you have the ISO downloaded, you can write it to a USB stick Linux Live USB Creator: Easily Boot Linux From Your Flash Drive Linux Live USB Creator: Easily Boot Linux From Your Flash Drive Read More and boot off it to try out the upcoming desktop. While theoretically you could try to run the ISO in a virtual machine, that most likely won’t work right now as there aren’t any graphics drivers available that talk to various virtual machine frameworks and work with Mir instead of the traditional X.org X display server. Trust me, I’ve tried it and it currently doesn’t work. The good news about this is that you won’t have to touch your normal installation and thereby removes the very slight risk of messing up your system, but the bad news is that it’s not as convenient to try out, plus you’ll have to re-download the entire ISO whenever you want to try an updated version. For now the goal is for Unity 8 to be become the default by Ubuntu 16.04 at the latest, so there’s still plenty of time for major changes to occur. And who knows, maybe we’ll get to see Unity 8 on everyone’s Ubuntu systems earlier! Until that happens, you now know how to check out the progress. What’s your opinion of Unity 8 and the general idea of convergence? Are they on the right track or what could they do better? Let us know in the comments! With regard to the 'innovations' Canonical has made to the Linux desktop. They missed one important feature. The Undo button. That exactly is my point. Running live Linux from a CD/DVD does not give you much scope for experimenting or to rally learn about it. Although Windows has the most comprehensive list of native drivers in the installation media one still does have to occasionally tinker with the iso to add boot time drivers for the process to complete. Unlike in the past days of ISA and EISA the system would simply work, perhaps in most basic form. With proper driver installation one would get performance enhancements offered by the hardware. Not so any more. Win XP did not include boot time drivers for nVidia SATA chip set found on some Acer Linux PC offerings. It did take a lot of effort to find the proper drivers and include them through nLite. I would absolutely not take a chance with Linux on such systems. I started tinkering with OS/2 and Slackware Linux 2.0 back in 92. With the advent of Grub and elimination of lilo I simply quit bothering. Does it provide option of where to install the boot manager? I absolutely have to have the option of installing it to the boot sector of the installation partition. With the advent of GRUB this option seems to be missing in all distros. It is totally useless if it requires rewriting the MBR. I would like to run Ubuntu along side windows 8.1. can someone please guide me? Prepare an Ubuntu installation media as described above (but with the normal release), and in the installer choose to do Ubuntu and Windows side by side. It's that easy! you are looking for alot headache. If you are happy with possible problems or find out your machine is support. follow the guide to dual boot Win and Ubuntu and maybe repair your win boot system. What we need is for devices with Ubuntu factory-installed, available at your neighborhood store next to the Windows machines, so we have a choice. You can buy a laptop with just Ubuntu installed from Ebuyer. Two laptop companies I avoid are Packard and Hewlett. Dell has some Ubuntu laptops, if you don't have anything against Dell! I am really thrilled to see the big changes that Canonical is making. This is true innovation. I'll be patient and a good outcome will eventually result. What ever happened to convergence by 14.04? :P Canonical is in a lot of ways more disappointing then ever. Projects just seem to be taking a lot longer than they planned. They'd rather make sure it works and is stable rather than pushing out incomplete projects. Where is the link for the new ubuntu iso? Sorry guys! Could've sworn I added it in there. I guess I didn't!